With each changing season comes a new Halo Top flavor: Winter was Gingerbread House, Spring was Blueberry Crumble, and Summer was Peaches and Cream. 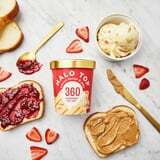 Now, just in time for back-to-school season, the healthy ice cream company is releasing another limited-edition flavor: PB&J. The pint is packed with peanut butter ice cream and swirls of strawberry with cannoli bites. But it will only be available for a short time – the new flavor is a “Gold Edition” and will only be in stores for a few weeks; once it’s sold out, it’s gone. The new flavor will be available at retailers nationwide, including Walmart, Ahold, SEG, Meijer, and more. Each pint is 360 calories and 20 grams of protein. And the sneak peek isn’t exclusive to POPSUGAR; some lucky fans can try the new flavor ahead of time too. Starting on July 15, the first 1,000 fans can get a first taste by visiting halotop.com/new and entering the code HALOTOPPB&J at checkout. 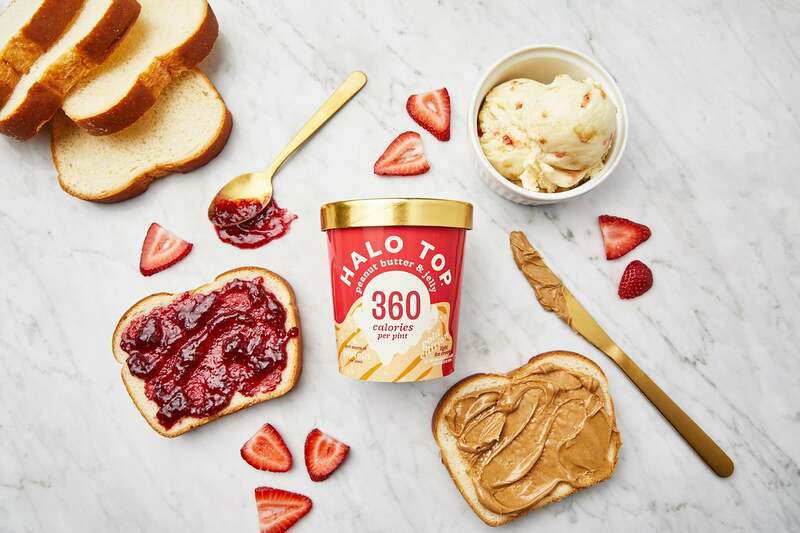 If you’re a fan of PB&J and want to be transported back to your childhood, be sure to stock up on the pints when they become available and for as long as supplies last. The only things missing are a glass of milk and a bag of potato chips!